wedding gown holds beautiful memories in all its folds. For most brides, it is a thing to be preserved and possibly even shown to their own children when they grow up, recounting all those beautiful moments which it witnessed on that special day. 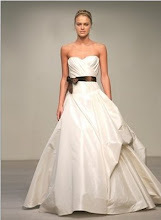 Much time is spent in selecting the perfect and affordable wedding dress for the big day in your life. Hence, it makes sense to keep the wedding dress that added so much color to your wedding in proper condition. A wedding dress, preserved in good condition, can be passed on to the coming generations as a family heirloom. This is why you must know how to take care for your beautiful wedding dress - both before and after the wedding. * Buy a clean, undersized, unbleached and non-dyed cotton sheet. This type of cotton sheet is easily available in the market. However, while buying make sure the cotton sheet has very little synthetic fiber. * Before using it, wash the cotton sheet in hot water so that any extra dirt gets vanished. Never use any type of detergent. * After the wedding ceremony is over, the gown should be wrapped in this cotton sheet. Avoid using a plastic gown to store your wedding dress as plastic can cause rapid oxidation of the fabric which might lead to accumulation of acid residues on your dress causing serious damage to it. * Store the gown in a flat position and it must be protected from direct sunlight and damp areas. * Within two weeks of the wedding, the wedding gown needs to be dry cleaned. If there is some sort of stain on your dress and you know about how you got it, be sure to alert your dry cleaner. * Select a dry cleaner that specializes in preservations of wedding gowns. After your wedding dress has been dry cleaned, special care should be taken to ensure flawless preservation. First of all buy a vacuum-sealed storage box along with archival-quality, acid-free tissue paper. * Use buffered archival paper for preserving a synthetic fiber gown, and for natural fiber gown, non-buffered archival paper will do. * Store the fabric-covered metal buttons, pins and sponge padding of the wedding gown separately as after some time metal can get oxidized and leave stains on the fabric. * Fold the wedding gown by putting top-quality tissue papers in between the folds to prevent it from getting permanent wrinkles. * And finally store the wedding dress in the vacuum-sealed storage box and make sure that it is kept in a cool dry closet, away from impurities and smoke. * Inspect the gown from time to time by taking it out from the box. In today’s Internet savvy world it is not difficult to find an affordable wedding gown online but keeping it in mint fresh condition is tough. 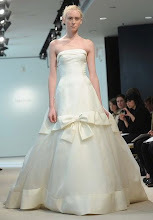 Follow the above tips and you will be able to keep your beautiful wedding dress full of memories intact for years.